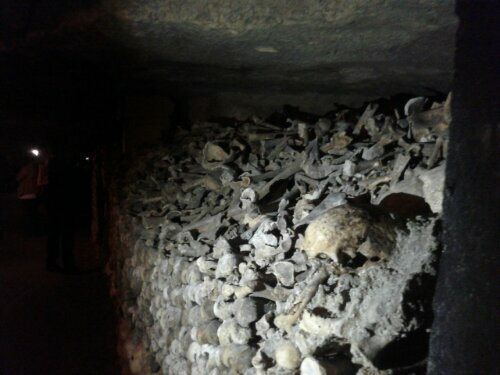 The catacombs of Paris are essentially a network of mine shafts under much of the city centre. 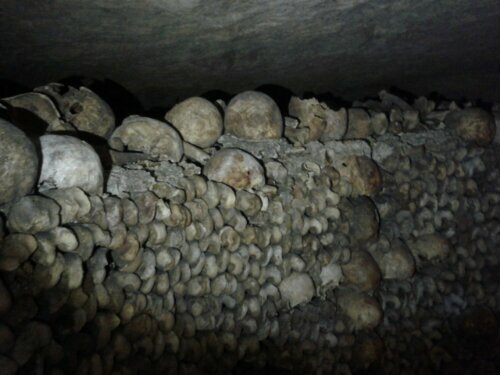 The limestone excavated here has been used for city construction for about 1000 years. 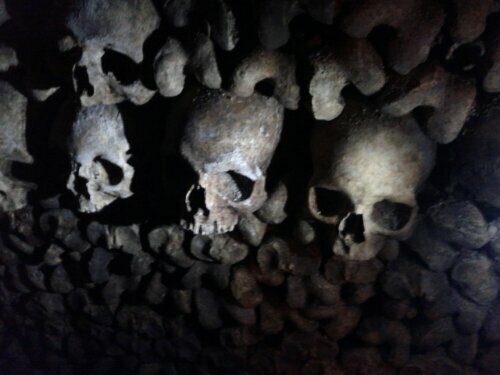 In the 1700’s the cemeteries of Paris got so full that milk and wine would spoil in a single day in the nearby homes. Gross. 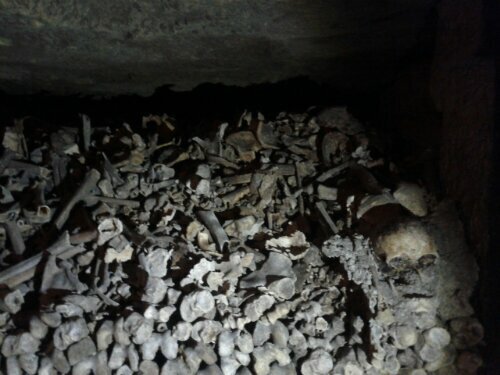 Then someone had the idea to move all the bodies into the mine shafts. 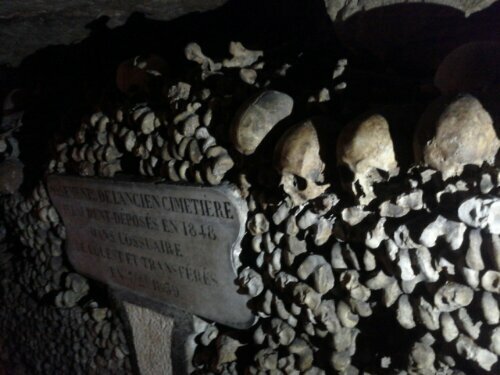 The mines got consecrated by the local clergy and the body moving began! 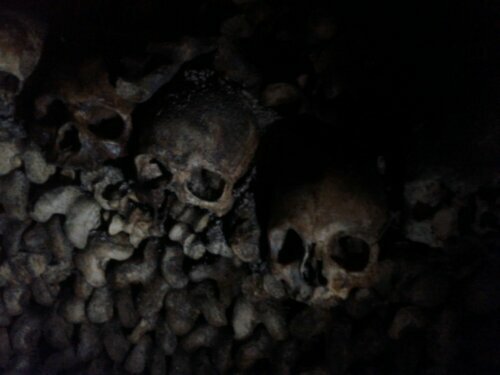 Now it is a tourist attraction. 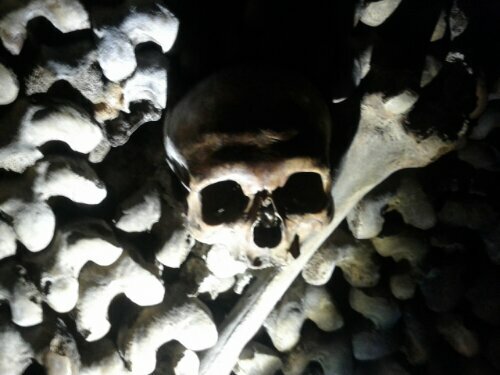 This entry was posted in Adventures and tagged bodies, bones, catacombs, Paris. Bookmark the permalink.